Certified Nurse Assistants play a critical role in the delivery of healthcare services, and there’s a tremendous need for their skills within the realms of direct patient care. Trained and certified nurse assistants can benefit from numerous career opportunities in Green Bay and beyond. 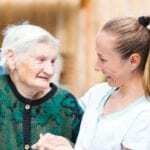 They work in long term care facilities, hospitals, and adult day care centers as primary caregivers under the direction of registered or licensed nurses. While roles and responsibilities depend on the settings, formal training programs under the governance of Wisconsin’s Department of Health Services prepare students to assist patients with basic activities of daily living, admit and discharge patients, ensure patient hygiene, maintain patients’ rooms and bed, and provide physical, emotional and social support to senior and disabled patients. Northeast Wisconsin Technician College’s nursing assistant training equips students with the skills and knowledge to pass the state certification exam. Graduates are also prepared to enter the first semester of a nursing degree program. Applicants to the program must be 16 years and older, be able to lift/support up to 50 pounds of weight, pass a caregiver background check and a TB test. Applicants with a history of convictions may be denied access to the program. During the 120-hour training, students develop communication and patient care skills under the supervision of Registered Nurse instructors. Course topics include vital signs, infection control, patient hygiene, patient independence, law and ethics, observation and reporting, anatomy, physiology, and medical terminology. The estimated total for training is $727.55 for tuition, reading assessment, criminal background check, TB skin test, tuition, textbook, name badge, and gait belt. Students should also budget for uniform, shoes, blood pressure cuff, stethoscope, and the state exam fee. The American Red Cross has been preparing students for careers as nursing assistants for more than 100 years. Students acquire knowledge and skills in a caring environment under the direction of a licensed professional. Through 120 hours of supervised classroom, lab, and clinical training, students prepare for the state competency exam and success on the job. Applicants must pass a criminal background check, TB test, and physical exam. Applicants with no high school diploma or GED must complete a TABE test. A valid state ID and social security card are other requirements for enrollment. The American Red Cross provides scholarship opportunities for qualifying students; those applying for a scholarship should submit a completed grant application, proof of income, and a letter of recommendation with the application. Included in the training is CPR, life training skills, blood pressure training, and an exam cram day to prepare for the state exam. The ARC also pre-arranges state testing for students, so they’re able to test within 2 to 3 weeks of graduation. The course fee is $800. After 6 to 8 weeks of nursing assistant training at the College of Menominee Nation, students receive a certificate of completion that qualifies them to take the state certification exam. The program offers a total of 120 contact hours, including classroom, lab, and clinical training. Applicants must be 16 years or older and complete TB screening and a criminal background check. Students who qualify for Career Ladder funding must also submit the appropriate forms and a tax return. Tuition for the program is $245 plus costs for uniform, lab fees, textbooks, TB testing, criminal background check, and supplies for the clinical rotation. The community-based nurse assistant training program at Aurora Healthcare Careers lasts 15 days. Instructors provide 120 hours of classroom, hands-on lab, and clinical experience. The weekday-only class runs from 7:30 am to 4:00 pm. Students must attend all classes on time to successfully complete the class and take the Wisconsin Nurse Aide Exam. After completing the final day of classes, students are expected to attend a blood pressure class from 7:30 am to 9:00 am on the following day. Applicants must submit details of academic achievement and employment history, which the admissions department will review to schedule an interview with the chosen applicants. A final determination of enrollment will depend on the applicant’s response to interview questions, knowledge of the nurse assistant’s role, communication skills, compliance with the requirements for application, and a math assessment exam. Successful applicants will have three weeks to take a mandatory criminal and caregiver background check and provide proof of MMR, Hepatitis B, and influenza vaccination. Students must also provide proof of a negative TB skin test. The class fee is $600 plus extra for textbook, uniform, and state testing. 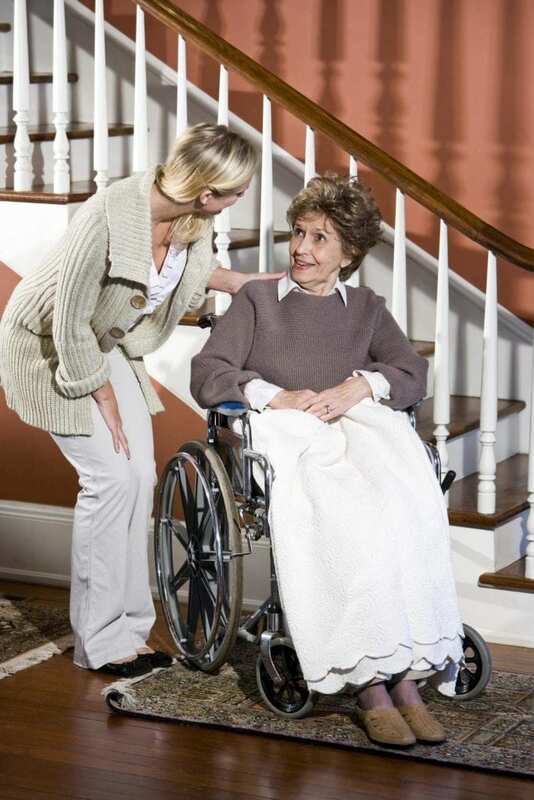 Clarity Care prepares nurse aide/home health aide students for an important role in healthcare. Graduates are eligible to take the state certification exam to become a certified nursing assistant and take advantage of career opportunities in their local communities. The curriculum covers aging disorders and dementia, standard precautions, first aid, home safety, resident rights, vital signs, recognizing and responding to challenging behaviors, personal care skills, nutrition and feeding, the role of the NA/HHA, fluid intake and output, and vital signs. Students develop clinical skills to care for patients in various health care settings. They learn how to dress, bathe, and feed patients, reposition residents, and check vital signs such as blood pressure, respiration, pulse, and temperature. A valid state ID, social security card, and the results of the TB test are necessary to begin the first day of classes. The course fee of $675 includes tuition, background check, and course materials. Graduates who successfully complete the program and pass the state certification exam may be eligible for employment at Clarity Care. Quality CNA Training prepares nursing assistant students for a rewarding career in health. The program runs for 4 to 6 weeks and is taught by professional and experienced instructors who are committed to students’ success. The registered nurse instructor covers classroom theory, hands-on skills in the school’s simulation lab, and a supervised clinical experience at a local long-term care facility. The curriculum covers 88 hours of classroom and lab instruction followed by 32 hours of clinical instruction at a nursing home. Training also includes 3.5 hours of Adult CPR/AED, 3 hours of Community First Aid Training, 2 hours of Bloodborne Pathogens Training, 2 hours of Blood Pressure Training, and a 4-hour exam cram day. Quality CNA Training offers scholarships and grants to eligible students which will help to reduce out-of-pocket costs.